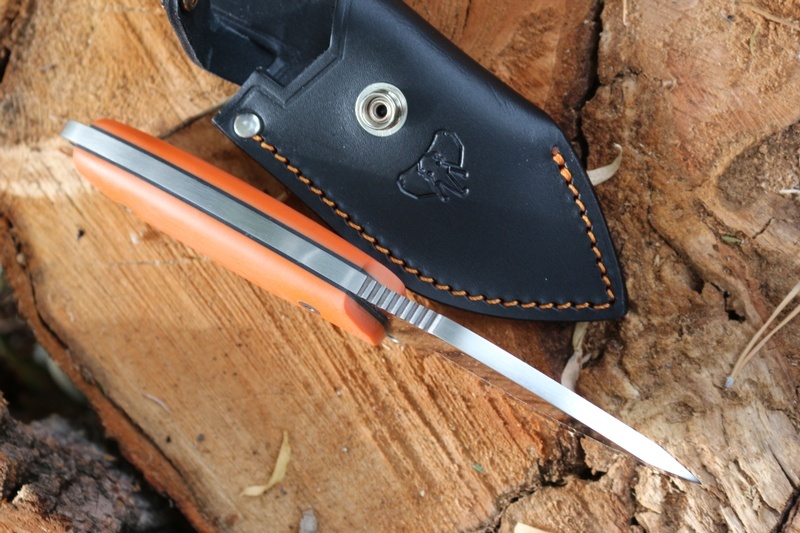 A tough compact knife from Cudeman of Spain. 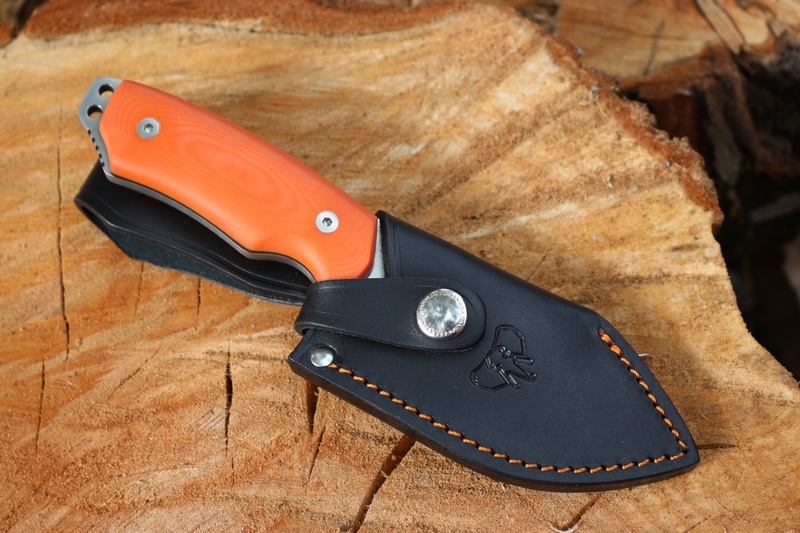 This is a well designed knife, that has many features packed into its robust, compact frame. The Full broad tang is 5.33mm thick, offering very high strength, the blade is the Bohler N-695 steel at 59/61HRC with a slight hollow grind and is both easy to sharpen and offers excellent edge retention and toughness. The slabs are solid G10 and Black liners with stainless steel allen screws and the handle is sculptured comfort and grip. The tang is extended at the back with a double hole lanyard and a thumb ramp (with jimping) allows for even greater control. 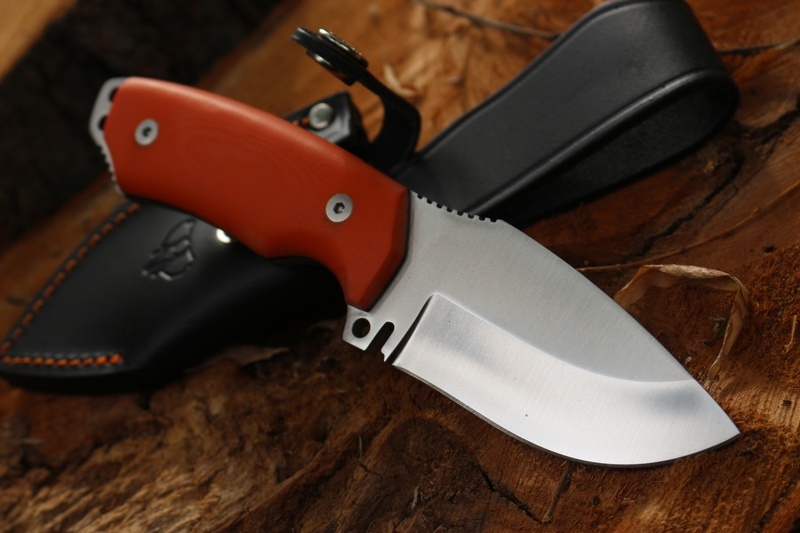 Its an excellent knife for the bush, either as a main knife paired with an axe, or as a compact carry when hiking or day tripping. 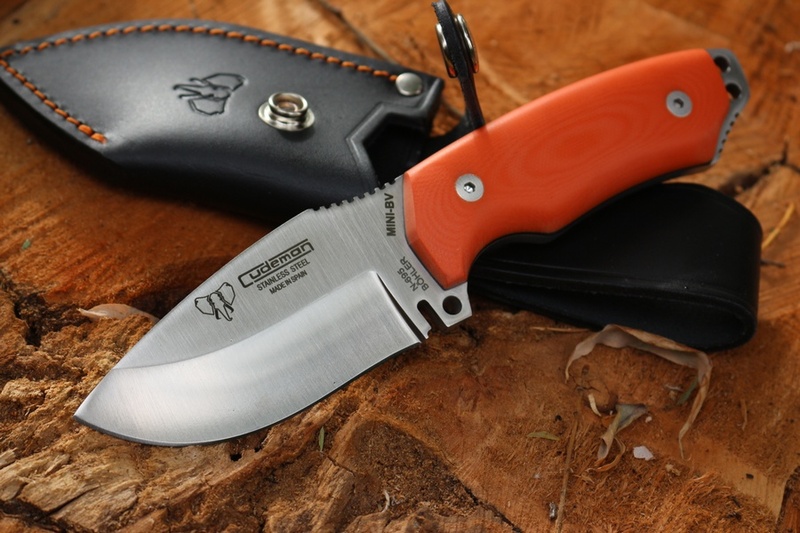 Purchase through PayPal by using the "Add To Cart" button above or use the form below to order the Cudeman Compact Survival Orange G10 . Feel free to contact us if you have any questions about the Cudeman Compact Survival Orange G10 .